This black and white image of a harsh landscape gives a sense of loneliness and desolation, a sense of grief and abandonment. The starkness is brought out by the dark sky in the background and the barren lifeless trees in the foreground. The rapidly drying up water source reminds us that life is dying. 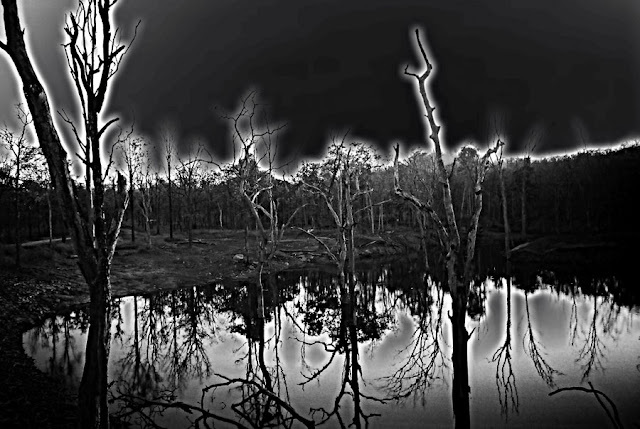 The reflection of the trees and the sky in the water is stronger than the actual trees and the sky, signifying that all that is life is its shadow. 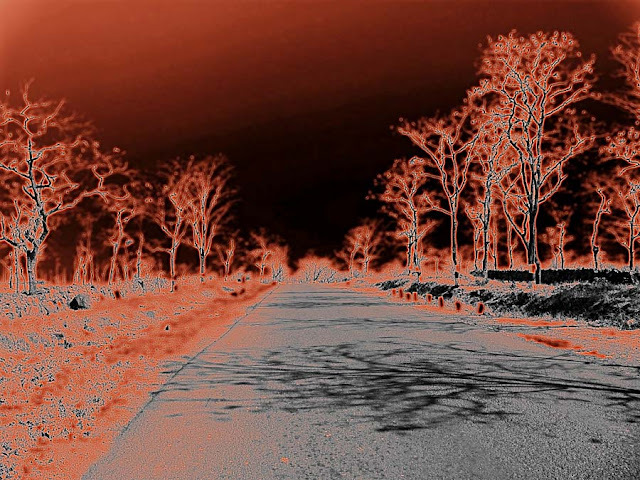 The same image has been given an effect by using an orange glow, giving an impression of a forest fire. 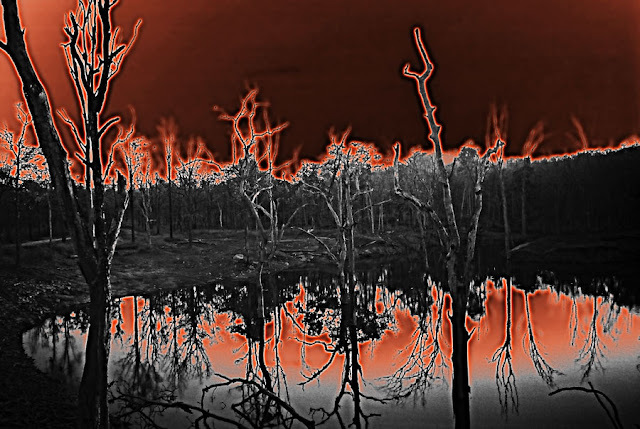 Another images depicting graphically a forest fire. The bleakness of the scene shows how inhospitable the land is now, and it is as if setting it on fire is the only answer. For related images try the labels below this post.